KCNF Partner Richard Renner Argues for Strong Whistleblower Protections | Kalijarvi, Chuzi, Newman & Fitch, P.C. Last month, the Department of Labor’s Administrative Review Board (ARB) held a very rare event – it convened an en banc oral argument. The ARB hears appeals of cases arising under various worker protection laws. In most situations, three administrative appeals judges from the ARB decide a case on written briefs submitted by the employer and the worker’s attorneys. However, in the recent case of Palmer v. Canadian National Railway/Illinois Central Railroad Company, (ARB No. 16-035, ALJ No. 2014-FRS-154), the Chief Administrative Appeals Judge determined that the appeal should be decided en banc (meaning, all five judges on the ARB should decide the case) with supplemental briefing and oral argument. The ARB also invited simultaneous amicus briefs from interested third parties. 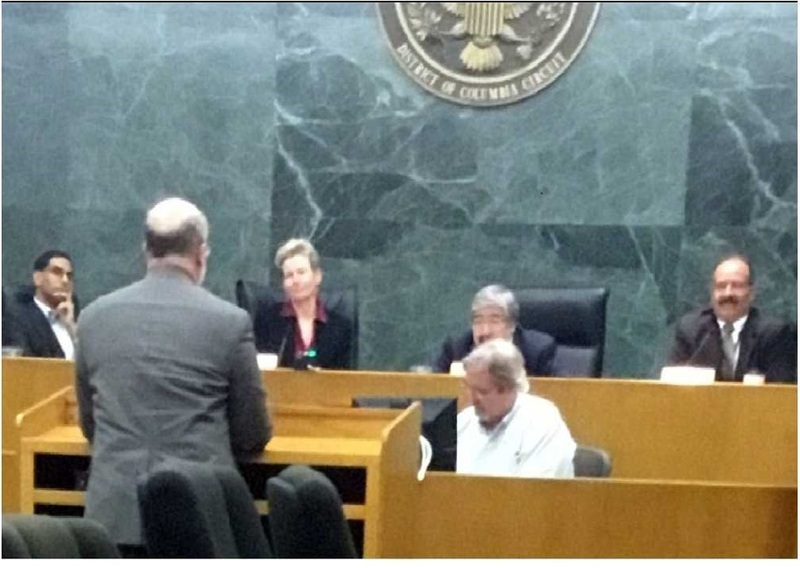 KCNF Partner Richard Renner recognized the importance of the case and the questions presented on appeal and filed a brief in the matter. Railway conductor Kenneth Palmer injured his arm while on the job. He reported the injury, per railway rules, even though his supervisor tried to talk him out of it. His supervisor then launched a formal investigation to see if Palmer violated any company rules when he got injured. His supervisor determined that a month before his injury, he had run through a switch. Even though other conductors had run through switches in the past without reprimand, and that it was undisputed that his mistake did not result in any damage or harm, the railway held a formal disciplinary hearing on the incident. In the days after the hearing, railway managers exchanged e-mails about Palmer and decided to terminate him. The e-mails revealed that company officials considered his injury report while making the decision to fire Palmer. A trial was held in front of an administrative law judge (ALJ) who, after hearing the evidence presented by both sides, found that the railway terminated Palmer due to his reporting of his injury in contravention with a federal law called the Federal Railroad Safety Act (FRSA). The railway appealed to the ARB and argued that the ALJ had applied the wrong burdens of proof. In a case under FRSA, an employee first needs to establish three elements: (i) that he or she engaged in a protected activity, like reporting an injury or safety concern; (ii) that he or she suffered an unfavorable personnel action, like termination; and (iii) that the protected activity was a ‘contributing factor’ to the unfavorable personnel action. 49 U.S.C. § 42121(b) (part of “AIR 21” which the FRSA incorporates). A contributing factor is any factor, either considered by itself or with other factors, that affects the outcome of the decision. Araujo v. N.J. Transit Rail Operations, Inc., 708 F.3d 152, 158 (3d Cir. 2013). An employee needs to prove these elements by a preponderance of the evidence, which means, in this situation, he must show that it is more likely than not that his report of injury was a contributing factor in the railway’s decision to terminate him. After the employee shows this, the employer has the burden to prove by “clear and convincing evidence” that it would have taken the same unfavorable personnel action in the absence of the employee’s protected activity. 49 U.S.C. § 42121(b). The clear and convincing evidence standard is much harder to meet than the preponderance of the evidence standard. In short, the railway needed to show if Palmer never reported his injured arm, it was highly probable the railway would have still terminated him for the switch run-through. The ARB asked the parties to file supplemental briefs addressing the extent to which an ALJ can consider an employer’s justification evidence – here, evidence regarding the switch run-through – in deciding the contributing factor element of an employee’s unlawful retaliation claim under the FRSA. The ARB also invited amicus curie, or “friend of the court” briefs from interested groups not directly associated with Palmer’s case. When KCNF Partner Richard Renner heard about the case, he knew a reversal by the ARB would have far reaching and negative implications on whistleblowers’ rights. With this in mind, he filed a brief and received a timeslot to present his position at the oral argument. The KCNF brief notes how the text of the FRSA statute would permit the ARB to consider the employer’s evidence on causation at the contributing factor stage – but only if that evidence is clear and convincing. In other words, the ARB could permit an ALJ to consider the two stages in reverse order. However, the KCNF brief also noted that when the MSPB actually tried the same reversal of order in federal sector WPA cases, Congress amended the WPA to require the MSPB to consider the whistleblower’s evidence first. Other groups represented at the argument included three members of Congress, the U.S. Department of Labor, the railroad industry trade association, labor unions, and the National Employment Lawyers’ Association. Only four of the five ARB judges are involved in deciding the case; the fifth judge recused himself due to a conflict of interest in the matter. The sitting judges peppered all the attorneys with difficult questions and did not make it clear to those in the courtroom which way they were leaning. It is unclear when the ARB will issue its decision in this matter, but one thing is likely – the ARB’s holding will affect many more workplace whistleblowers than just Kenneth Palmer.